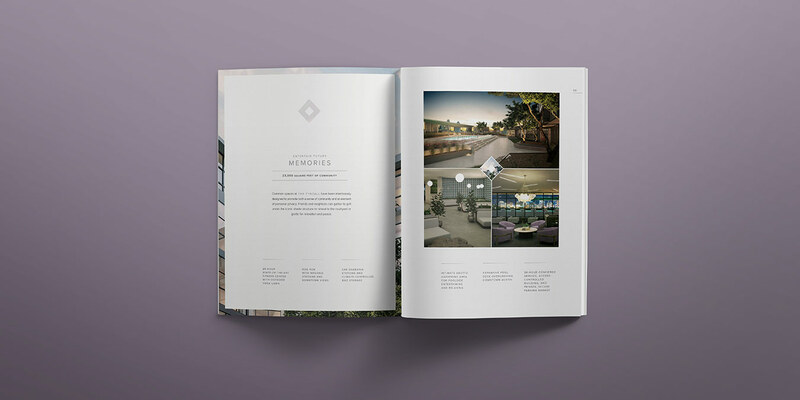 Brand identity, collateral, messaging and website design & development for an Austin luxury mid-rise. Nestled at the crossroads of Austin's eclectic East Side and vibrant downtown, a plot of land was purchased and cleared to make way for a hip and high-end residential real estate development spearheaded by Momark Development and marketed by prominent local real estate brokerage Moreland Properties. With architectural plans set and a construction schedule locked down, there was only one element missing from the complex scheme: A brand identity and content platform. MODintelechy was tasked with creating a distinctive visual identity including naming, brand development, collateral creative, renderings and website design and development that accurately captured the upscale urban feel of the project. It was imperative to create a name for the property that would make a dramatic and lasting first impression on their target audience. To kick off the naming process, our content development team conducted extensive research, exploring a variety of options and concepts. 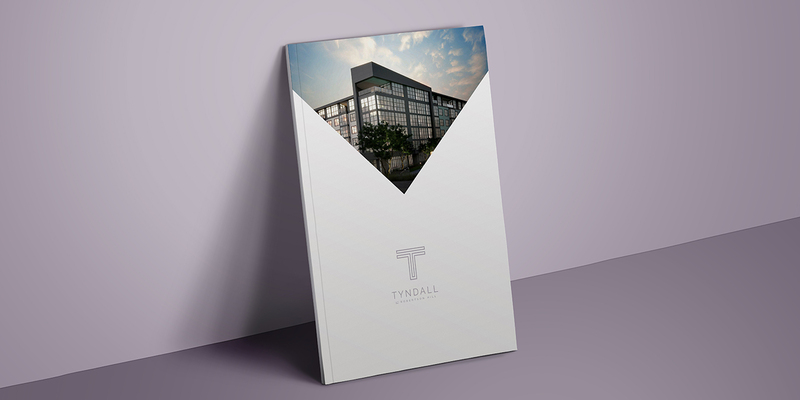 After presenting a milieu of naming options to the development team, it was clear that The Tyndall at Robertson Hill best encapsulated the property's feel and what it would offer residents. The development is located on Robertson Hill, a historic part of the city in East Austin. The Tyndall Effect is “the scattering of light that results in varied appearance and color,” which is a nod to the abundant natural light in each residence due to floor-to-ceiling windows. 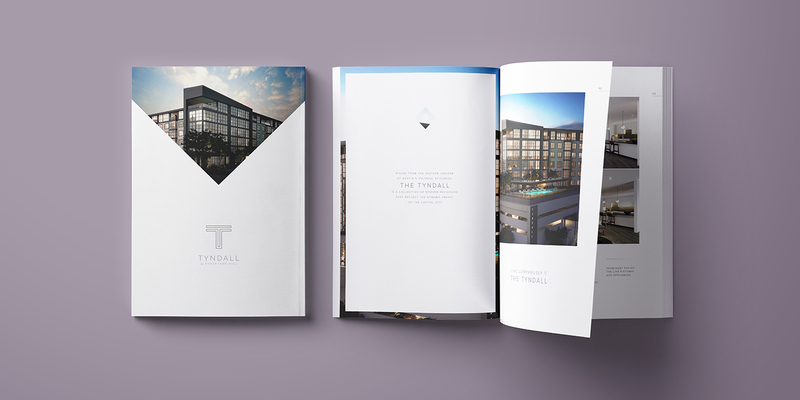 We also created unique names for the Tyndall’s amenity spaces and a messaging platform that conveyed the Tyndall’s embodiment of the creative energy of Austin’s East Side and the chic sophistication of downtown. 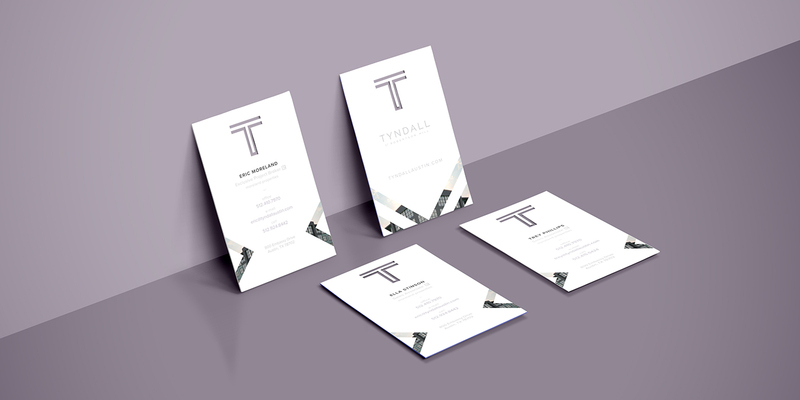 Utilizing the concept behind the Tyndall effect, our creative team created a brand identity system that was light, geometric, and modern. This brand identity system included several logo formats, a custom pattern that complimented the clean logo and color scheme and even a gallery of lifestyle images collected from a custom photo shoot conducted by our creative team that further captured the urban yet refined feel of the Tyndall. 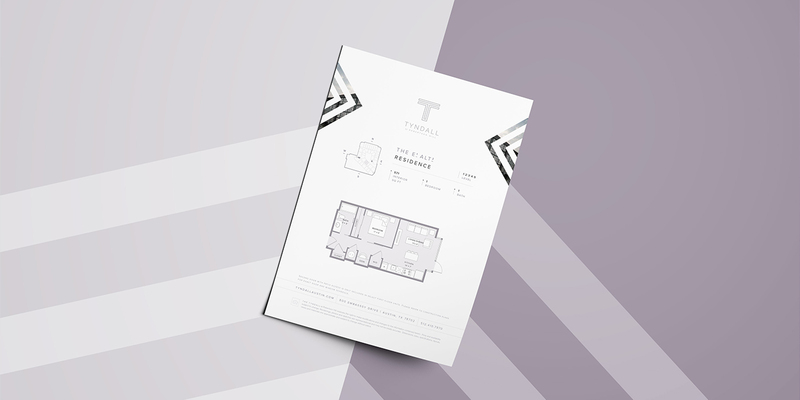 These elements were implemented across all collateral materials, including marketing materials, construction site signage, and interior signage. 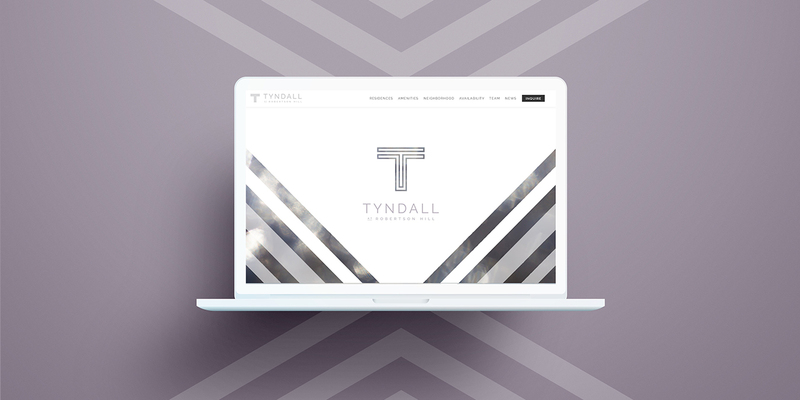 This system was also applied to the custom, responsive website we designed and developed to allow prospects to easily explore the Tyndall and all the high-end amenities and finishes it has to offer. "Professional, efficient and innovative. Always!" While The Tyndall is still in the construction phase, it is quickly becoming one of the most talked about residences in the downtown/East Austin area. The number of reservations continues to grow as the property garners attention from the public and press alike.